All the mechanical elements are there in service of a tentpole blockbuster, but what’s missing is comedy and camaraderie — and sense! Avengers: Age of Ultron opens promisely with a fortress invasion in Slovakia, with each superhero doing their signature crush the enemy stuff and pummel through hapless bad guys. Jeremy Renner’s Hawkeye, btw, is the only one who gets hurt. The scene has momentum. Then it grinds to a dismal halt. What happens beyond the first scenes is unconscionable storytelling with superheroes taking turns making countless pseudo-scientific pronouncements, with narrative going nowhere, all of this told under gloomy and grimy art direction. The headquarters, which I’m assuming was built by Tony Stark, is even dreary. This time, the Avengers are up against two unimpressive villains, Scarlett Witch (Elizabeth Olsen) and Quicksilver (Aaron Johnson), who have one worthwhile talent apiece and speak in Eastern European trash dialect because they represent the “backwards” people of a depressed nation. And of course a third indestructible villain, a robot (James Spader, voice) that is pandering to his opponents before it thrashes architectural surroundings and slaps around the lesser superheroes. Yet it’s all very generic plotting conduit to destruction and doomsday, and there is no other point to their scheme other than the world must die. Scarlett Witch’s main talent, by the way, is mind control – she uses it to make the superheroes feel bad about themselves as conveyed through arty grey-filtered hallucinations. These visions are hilariously bad cheesy artiness. Nobody interacts well with one-another this time. There’s very few one-liners that work, the ones that do mostly regard Thor’s hunkiness while everybody else is chopped liver. Let’s look at the list of actors: Chris Hemsworth, Chris Evans, Mark Ruffalo, Scarlett Johansson, Samuel L. Jackson, Don Cheadle. But none of them add up to anything without the real star of the movie: Robert Downey Jr., who was easily the jokester centerpiece when this gang first got together. But I got sour news. It’s probably his least entertaining performance as Tony Stark a.k.a. Iron Man. It’s like he was given a screenplay with leaden lines and given the impossible duty to make his tin ear dialogue sound neat. He looks distracted waiting for better dialogue to be bullhorned in that never comes. 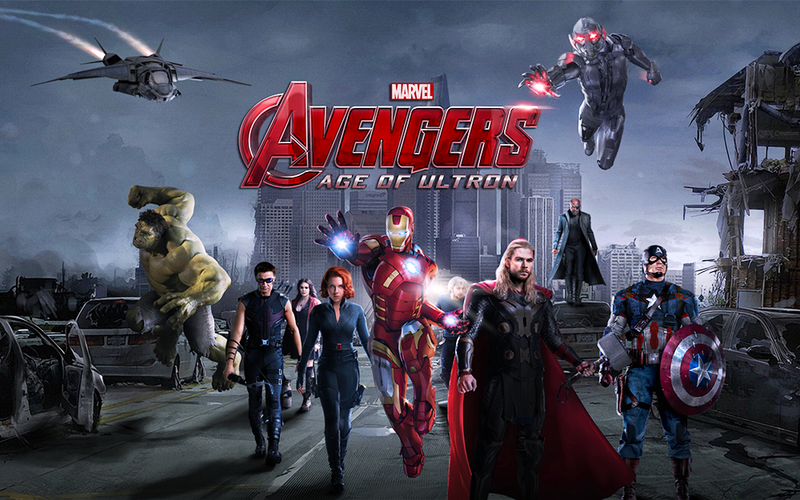 “Age of Ultron” is the kind of blockbuster programmed to steal several weeks of worldwide box office returns. Every movie fan likes these guys, the characters and the attractive cast of actors playing them. And so it’s the kind of doleful sequel like “The Lost World: Jurassic Park” (1997) and “Terminator Salvation” (2009) that nobody wants to admit isn’t good while the movie is out in theaters. Excuses will be made that it passes muster. Then some time passes by, and the mass collective attitude silently shifts to meh so what. By then, director Joss Whedon and the executives he bows to will have reaped their all mighty dollar rewards. Here’s a calculated moneymaker, with all the wit and joyful byplay of the original thrown out, one that’ s very personality-free, that will have no lasting reputation after it chalks up a billion dollars worth from ticket buyers who in obligatory fashion lined up. Note: It’s true I published this originally with a 2-star rating until weeks later it dawned on me how much I despised it, thus, re-graded it with 1-star. 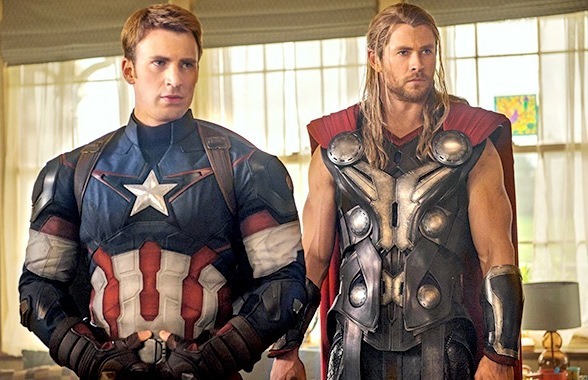 Film Cousins: “Captain America: First Avenger” (2011); “The Avengers” (2012); “Iron Man 3” (2013); “Thor: The Dark World” (2013).